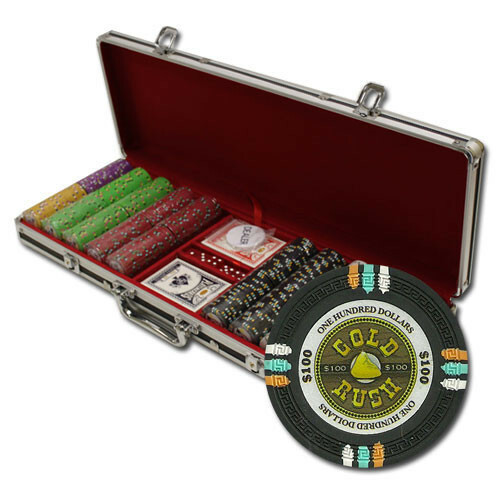 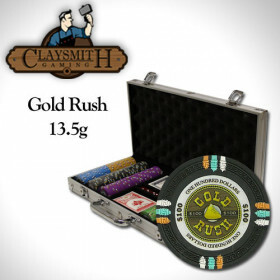 Take your home game to the next level with this high quality Gold Rush poker chip set. 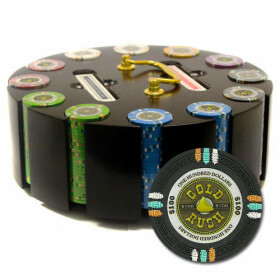 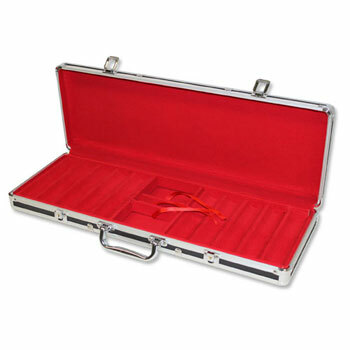 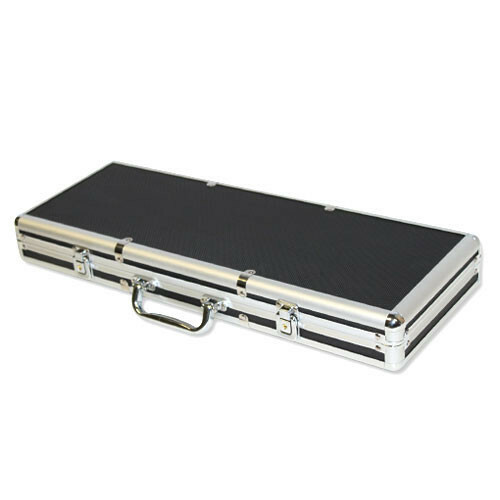 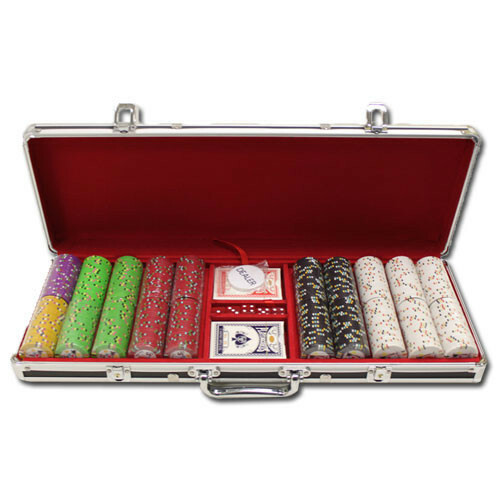 You get 500 of the highest quality casino chips available for home use and a handy black aluminum case to keep them safe. 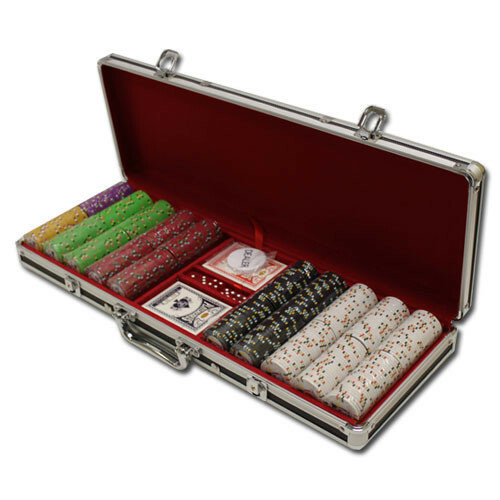 Get the action started with the included 2 decks of playing cards, 5 dice and free dealer button. 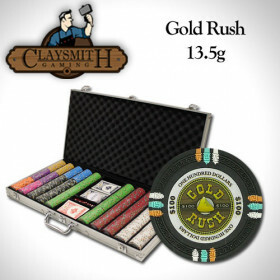 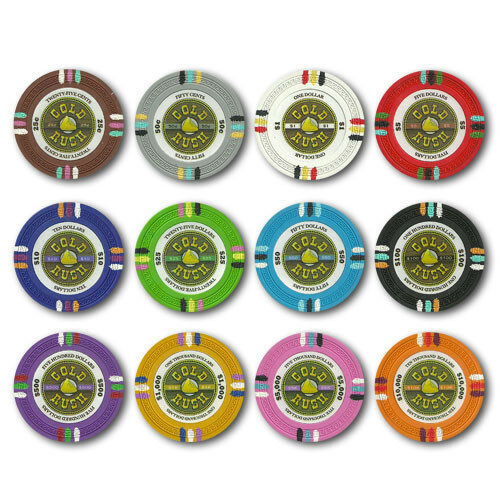 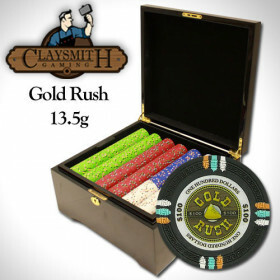 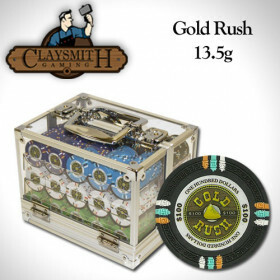 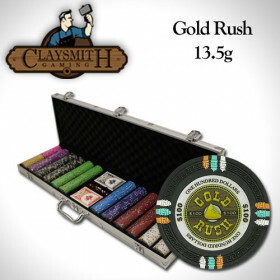 500 Claysmith Gold Rush clay composite poker chips, 2 decks of cards, 5 dice and a free dealer button. Drop the pennies for good and get a new high quality poker chip set from DK Gameroom Outlet!